We’re updating this post continuously as we learn more. Twitter appeared to be experiencing a widespread outage on Thursday morning, users discovered, taking their complaints to other sites around the web while waiting for the company to respond. “Users may be experiencing issues accessing Twitter. Our engineers are currently working to resolve the issue,” said Carolyn Penner, a Twitter spokeswoman, in response to a request for comment on the outage. The company posted a brief message to the same effect on the Twitter Status blog. The outage, which began around 9 a.m. PT, appears to be affecting both twitter.com as well as the various clients that users employ to get their Twitter streams. Twitter has dealt with outages in the past, and has worked to correct them with its engineering teams. 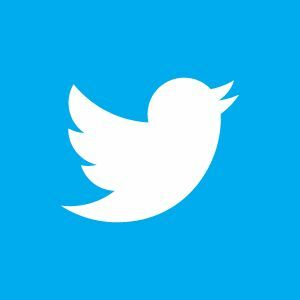 Reports recently stated that Twitter expected to reach $1 billion in sales by 2014, significantly outpacing analyst predictions and demonstrating the company’s advertising viability. Today’s outage comes the same day the company introduced plans for new advertising in Europe and Latin America, according to Bloomberg. 10:10 a.m.: Twitter is still experiencing outages, with no further updates from the company on its Status blog. On Tuesday, Twitter co-founder and executive chairman Jack Dorsey was named the 2012 Media Person of the Year at the Cannes. Previous winners include Eric Schmidt, Executive Chairman of Google; Mark Zuckerberg, Founder and CEO of Facebook; and Steve Ballmer, CEO of Microsoft Corporation. Dorsey was honored at a ceremony for winners on Wednesday evening. The company featured outages in 2008 and 2009 in issues related to its database structure, but continued to grow despite user frustration. 10:12 a.m.: The service appears to be coming back for both website users and users of Twitter clients. The company still hasn’t updated its Status blog, however. The site Down Right Now continues to monitor Twitter’s outage, as it appears to be functioning again. 10:39 a.m.: Penner confirmed that Twitter’s services were returning to normal, but the company wasn’t ready to share any information on what happened. 11:04 a.m.: Well, not so fast? Twitter appeared to go down again around 11am, and after updating the Status blog with an all-clear message around 10:50 a.m., that post once again indicates an outage. It appears this was just a hiccup, however, as the tweets once again began to flow several minutes after the second outage, although Twitter still hasn’t commented on the issues. 11:48 a.m.: Well, the hiccup is back and persisting. Twitter appears to be going up and down, affecting clients like HootSuite that allow publishers and users to manage their Tweets on a dashboard. A cascaded bug has an effect that isn’t confined to a particular software element; its effect “cascades” into other elements as well. Are you unable to access Twitter? Is service working for you? Let us know in the comments below, and we’ll update this post as we receive more information. 3:13pm ET – Twitter seems to be back up and running in KY. Confirming that Twitter was out as well, here in Cyprus. Gee, twitter goes down just as the stock market tanks. Coincidence? I think not. They have to curb contagion somehow. It says BLANK PAGE. I can’t get to the website at all! Yeah, it’s down for me in Rhode Island just before 2 p.m. EST. Did the site go down again? I can’t get on again… I had it for a time but now it won’t load again. Wahh! The service I’m using at no cost isn’t working. Get a grip. I had twitter back for a bit but now it won’t come up again..
Back up in Bournemouth, England! Down in England. And a strange message from a “Follower”, in my inbox, just before the outage, that I had defriended them, even though this certainly was not the case. Maybe a coincidence? Maybe it has something to do with the outage? message in the inbox had nothing to do with the outage. Was a misunderstanding. Got that cleared up. Phew. Twitter is completely offline for me. The site doesn’t even begin to load. Boo. grr NorCal down and out! Monday is gone. Can not access Twitter. Learned of outage through a comment by Mark Halperin on MSNBC. Drat! A little ironic to be at #structureconf and have a large scale app be down. Still down for me in San Fran. I am unable to access twitter in England. I have also received a strange tweet in my email from one of my “friends” who thinks I have un-followed them. Wondering if maybe there is some general foul play at work here, as I haven’t defriended anyone in the last week. Maybe somebody hacked my account, but maybe it’s also having to do with the outage in general. all the best! twitter withdrawls… this is not OK!! Klohe Kardashian never updates her facebook fan page — WTF am I supposed to do!!! Hey twiiter is it Monday? Mobile site is working, it seems. I received and sent tweets just now. Itâ€™s important for any company to have a plan for when disruptions can cause problems in your business. By partnering with an IT Solution company, such as Mosaic Technology, companies are able to develop a plan for recovery during stressful circumstances. Now that is hysterical. Way to market yourself Mosaic! If Twitter engineers couldn’t stave off this problem, you really think “Mosaic Technology” can? LOL, Taylor. I’ll call the local voodoo priestess and see if she can do anything. Twitter down as of 12:10 pm CT in N’ville area. I agree with Taylor. Bad timing for an ad. And wrong place. Of course you could make the argument: any press is good press. So with that mates, I leave with the best IT Solution company ever. Able to take defend against a full scale internet outage, due to fully redundant internet backups of the internet.